After the Golden Age of horror comics (the 1950's) came to a screeching halt (thanks to the Comics Code Authority), pretty much any comic book horror material was to be found in titles slipping through a CCA loophole in the form of larger-sized black and white "magazines". 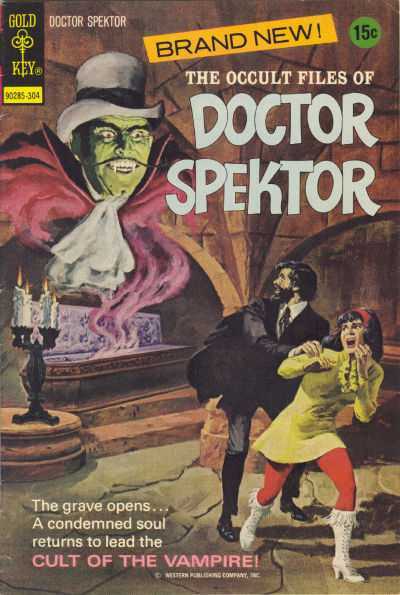 But in the 1970's, publishers began to push against the CCA and there was a major resurgence of horror comics in color. . .Swamp Thing, Werewolf by Night, Tomb of Dracula, and many others. Unfortunately, the horror resurgence was pretty short-lived and didn't really last far into the 1980's. From what I understand, the short life of the 1970's horror resurgence was mostly due to the fact that the comics weren't particularly horrific. . .99% of them would more properly be described as "Supernatural Comics" rather than "Horror Comics", mainly because they still adhered to the CCA even though they were skirting around the edges of it.